Check Out This Exclusive List Of Hot Bengali Beauties in Bollywood Now And Then!!! Bengali girls who have come to Bollywood so far have always won our hearts. Big eyes and awesome looks and features make them look stunning on-screen. Check this list of some popular Bengali beauties. She belongs to a Bengali speaking Sen family in Hyderabad. Sushmita won Miss India and Miss Universe title in 1994. She is one of the hottest actresses in Bollywood with a beautiful heart-melting smile. Kajol is one of the most loved actresses in Bollywood even today. 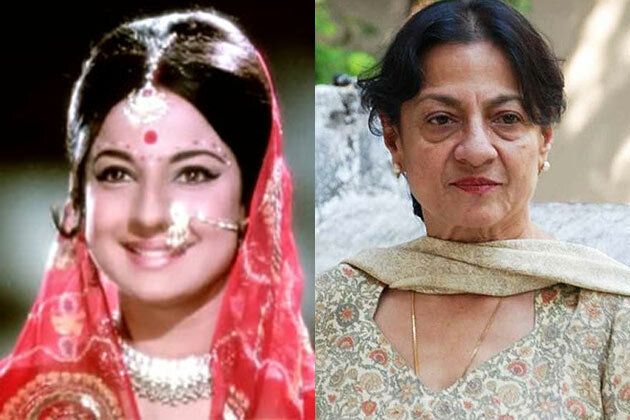 She is Tanuja’s older daughter and is no less than her mother when it comes to beauty and acting skills. She is not only hot but also has a bold side which we get to see in her movies. Rani is Kajol’s cousin and Chopra bahu. Her father Ram Mukherjee is a retired director and one of the founders of Filmalaya Studios. Her mother Krishna Mukherjee, was a playback singer. Well, she started her career from modelling and therefore there’s no question about her beauty. She got fame in her bold roles in Jism and Raaz. Konkana Sen is daughter of film maker Aparna Sen. She has an awesome screen presence and great taste of movies. She has won two National awards for her interesting performances so far. She has an attractive face and a perfect figure. But apart from this she is into modelling, anchoring in television shows and movies. She was born in Toronto, Canada to a Bengali father and is a cancer survivor. Nandita is a dusky beauty who has a special respect in the industry for her talents. She is hot and have done some sensible movies which gave her many awards. She started her career in 2009 with MTV India’s reality show TVS Scooty Teen Diva and was first runner-up. Later she was a video jockey for few TV shows and have done few films and albums. We have seen this hot Bengali beauty in Rock on and Heroine where she proved her distinct acting skills. She won Femina Miss India title in 2004 and in the same year she was among the top ten finalists of Miss Universe pageant. Riya Sen comes from a family of actors including Suchitra Sen, Moon Moon Sen and her sister Raima Sen. Falguni Phatak’s popular music video “Yaad Piya Ki Aane Lagi” got her into limelight. Well, there is no doubt about being beautiful when you are daughter of a father who is from a royal family of Tripura and her paternal grandmother Ila Devi being princess of Cooch Beher and younger sister of Gayatri Devi. This lady sure is beauty with brains. She has done many amazing movies and led Indian Censor Board since 2004. She is great great grand-daughter of Rabindranath Tagore. She was definitely one of the hottest actresses of her times. She was a beauty queen back then in 70’s and 80’s. Her beauty and acting skills got her some good Marathi, Bengali and Gujrati films too. Jaya Bachchan was known for her as one of the finest actresses in Bollywood of her time. She had a naturalistic style of acting with her appeal of a girl next door. 10 Hottest Pakistani Celebrities Who Are Heartthrob of Pakistan And Appreciated In India!!! 10 Facts You Must Know About Republic Day Celebration As A Citizen Of India!! !